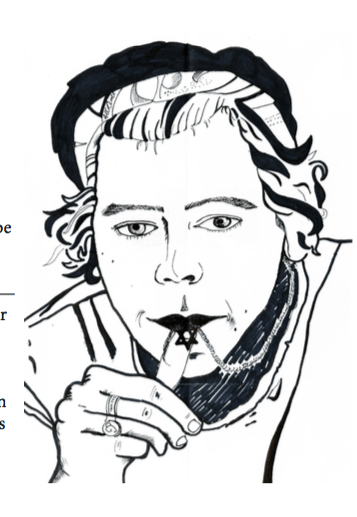 Harry Styles, British hearthrob and lead singer of the boy band One Direction, has been raising eyebrows recently over his “Jewish” identification. The teen pop-sensation has his sister’s name tattooed in Hebrew on his arm, wears a kippa (yarmulke) to trendy kosher restaurants, and frequently takes to Twitter to express his solidarity with the Jewish people. At times, however, his philo-semitic antics may have gone just a bit too far. Harry tweeted the night before Yom Kippur, the Jewish Day of Atonement. People spend the day fasting in reflection and repentance for their sins. The prayer service known as kol nidre marks the start of the somber holiday. Much of Harry’s Jewish interest seems to be influenced by the band’s producer, Ben Winston. Winston—who is Jewish— told the online newspaper JewishNews that Harry enjoys wearing a magen david (Jewish Star) and the boys of One Direction are all familiar faces at his Shabbat dinners. Questions over Harry’s Jewish background in particular reached a breaking point when Harry’s father took to Twitter to clear-up the rumors.